Passed away suddenly at his home in St. John’s in the arms of his loving wife on Sunday, January 27, 2019 – Raymond Patrick Walsh of Bay de Verde, age 75 years. Predeceased by his parents Bridget and Edward, only aunt and uncle Theresa and Jack Keyes, parents-in-law Leo and Maggie Noonan, brother Brian, sisters-in-law Eileen Walsh and Selma Noonan, brother-in-law Joseph Hyde. Leaving to mourn with fond and loving memories are his wife of 53 years, Evelyn, daughters Karen Osmond (Bert), Michelle Carew (Mike), and son and best friend Greg Walsh (Karla Smith). Also leaving to mourn brothers Gerard (Eileen – deceased), Robert (Eileen), Ron (Joyce), David (Rochelle) and only sister Bertille Hyde (Joseph – deceased); as well as brothers-in-law Aidan Noonan (Gloria), Gerard Noonan (Selma – deceased), Carl Noonan and sisters-in-law Doreen Walsh (Brian – deceased), Rosie Noonan, Linda Tucker (Monty) and Deborah Noonan (Rankin MacMaster). He will be especially missed and remembered by his seven grandchildren whom he and Evelyn cherished, loved and always supported: Anna, Alexander and Maggie Carew, Claire and Jane Osmond, Shannon and Madalyn Walsh. Ray is also fondly remembered by a large circle of nieces, nephews, great-nieces and great-nephews. As a retired teacher and school administrator, municipal councillor/mayor of his hometown, constant volunteer, senior hockey player, outdoorsman, hunter, salmon fisherman, recognized Newfoundland musician and recording artist, performer on stage, radio, television across the Province and beyond, Ray Walsh leaves to mourn a tremendous circle of friends, teammates, fans, band mates,media contacts and fellow musicians who he encountered, performed with, influenced and mentored over the years. At an early age, his involvement as a cast member and performer, arranger and musician on CBC radio’s Saturday Night Jamboree and CBC television’s All Around The Circle and Come All Ye made him a household name across the Province and Country. This led him to do three recordings of Newfoundland instrumental accordion music and performances for over 55 years. Most recently, Ray was proud of his five recordings with the Walsh Family Band. A recipient of the NL Folk Arts Council’s Lifetime Achievement Award as well as the East Coast Music Association’s Stompin’ Tom Connors Award, Ray was always humble about his talents and musical accomplishments. Ray always stated his proudest moments on stage were when he performed with his family – which regularly included his brothers, daughters and son; and most recently his grandchildren. Resting in St. John’s at Carnell’s funeral home on Tuesday, January 29, 2019, with visitation from 12-9pm. On Wednesday, January 30, 2019, from 10-2pm. Visitation will also take place at Hopkins Funeral Home in Old Perlican on Thursday, January 31, 2019 from 10:00 am – 9:00 pm. Funeral Service will be held from the Parish of The Assumption Church in Bay de Verde on Friday, February 1, 2019 at 2pm. Flowers are welcome and donations can be made to a charity of one’s choice in memory of Ray. To Greg and family. Just heard about your Dad’s passing as I was away. So sorry. I am going to miss those stories about the salmon. I’ll see you on the river Greg. Take care. Sorry to hear of your father passing. Sincere condolences Michelle and family. RIP Mr.Walsh…you were one of the most memorable teachers I had at St. Joseph’s (St. John’s). My thoughts and prayers are with your family during this hard time. Sorry for you loss. Loved his music. Remembering Salwater Joy’s and Snow Angel. Rip. Sorry for you loss. A great man. Loved music. Our heartfelt condolences to you all…we were so shocked and saddened to hear the news. It was a great honour to know your dad and listen to his music and when he spoke it was such a gentle voice. God bless you all during these sad days and May you be strengthened daily knowing that his music lives on and now playing for the angels. Take care. Michelle & Family, please accept our heartfelt condolences on behalf of myself & Family, as well as the residents of St. Patrick’s Mercy Home. It was such an honour every time you, your Dad and uncle came to perform. I know how much your Dad will be missed by all who knew him, especially his family. Keep all your wonderful memories close at heart. We will keep you in our thoughts and prayers. 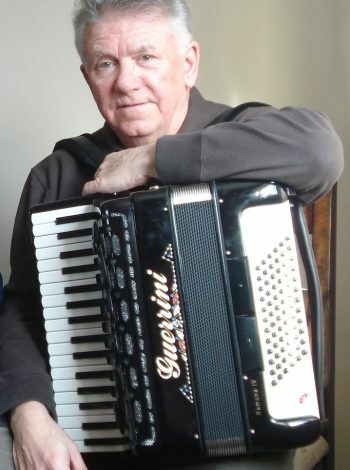 Sincere condolences to all family and friends of Ray..He will be missed by many and so many will miss his musical talent..He sure could make the accordion talk…Rest in Peace Ray..
To Greg Walsh and other Family Members of the late Ray Walsh, condolences go out to all of you in the death of your father, his memory will live on. R. I. P.
My heart aches for you all! May you find comfort in the many treasured memories, stories and certainly, music that you share in the days, weeks and years ahead. Keeping you close in thought and prayer. Karen, So sorry to hear of your dads passing. Sending my deepest condolences! Michelle and family, I am so sorry to hear of your dad’s passing. Hugs and prayers to all at the very difficult time. Ron, Joyce and family, our condolence with the passing of such a great person. He will be missed by a huge amount of people. I remember Ray from my days working in Old Perlican as such a nice, gentle man. Please accept,our deepest condolences. Sincere condolences Michelle and family. Thinking of you all. Karen and Family: I was so sorry to hear of your father’s sudden passing. My thoughts and prayers are with you all during this very difficult time. god bless you all. Kena Lake and family. Sincere Condolences to the Walsh family on your loss. I have many memories of my late uncle Fr. Shea speaking of the talents of “the Walsh Family ” and Mr Walsh’s contribution to education in Bay de Verde.” I am sure they are together in Heaven going over old times. Very sorry to hear of your husband,s passing. So sorry for your loss. Our thoughts and prayers go out to you and your family during this difficult time. Our thoughts and prayers are with you at this time and in the days to come. God Bless. Dear Bertille and the Walsh Family. You spoke so lovingly of Ray and his family. Your dear aunt, Sister Theresa Keyes was so very proud of Ray and his music and it was so moving that Ray and his children came to the Motherhouse to sing for her when she was dying. You will miss your brother very much and there are no words to ease the pain of loss. You have so many memories of him and how you both made a positive difference in the lives of many students in your teaching profession. With deepest sympathy. Sorry for your great loss.we attended your concert in Carbonear just a month ago.Such talent. by Joe & Angela Doyle Harbour Grace. Evelyn and family, the Walsh and Noonan family. Very sad to hear about Ray’s passing. My deepest condolences to all of you who loved and knew him best. A talented musician who shared his gift with the world. Part of growing up in Bay-de-Verde was the weekly ritual of tuning in to see Ray play on All Around The Circle. We were all so proud of him. He was a great ambassador for NL music. May God bless all of you in this time of profound loss. Take Care. I was so sorry to hear of Ray’s passing. My thoughts and prayers are with you at this time. I hope you can find comfort in the fact that in spirit he will be with you always and that you loved and were loved. And, oh what a legacy he left! How sad to lose a great gentleman, educator and musician of greatness! I’ve admired Ray throughout my life and his music ability. His family, no doubt, have carried on his legacy. A true, solid individual. Karen and Greg, , my sincere condolences to you and all your family. Take care. Pat Walsh, Mount Pearl. Please accept my deepest condolences for your family’s loss. Mr. Walsh was my Grade 9 teacher at St. Joseph’s School and a couple of years ago I had the opportunity to tell him that he was the best math teacher and how lucky our class was to have him as a teacher. His son, Greg, was with him that day and proudly said that he was the best math teacher he had as well. Mr. Walsh had the biggest smile over that comment. Mrs. Walsh, Michelle, Karen & Greg – my thoughts are with you and your family at this sad time. May you find comfort in the outpouring of sympathy from all who share your loss. Wendy and I were shocked and saddened to hear of Ray passing. He accomplished so much in his life and will leave a legacy. Our prayers and thoughts are with you and your family. God bless. Bren and Wendy Walsh and family. To Greg and Karla. Our thoughts and prayers are with you and your family during this difficult time. And Greg, while we did not know your dad personally the stories you told of your life with him made us laugh and created a picture of a loving family man. Please remember those stories as they will comfort you in the days ahead. Take care and know that while we could not there in person our thoughts are with you, Love Trudy Michael and Jeremy Barry. Greg, I was sad to read of your dad’s unexpected passing. I remember how fondly you spoke of playing with him in your family band. Deepest condolences. It is so sad that Ray is no longer with us. I will miss our conversations on snow clearing days and on days in the backyard. I am honoured to have known him and will remember him for his gentle character, calmness and wisdom. If I can help in anyway, please just ask. My sincere condolences to Evelyn and his family. Take comfort knowing he cherished each one of you. Expressing our deepest and sincere sympathy to Evelyn and all the family over Ray’s passing. I always admired Ray’s playing because he was an especially gifted person. Sorry we cannot be with you at this time. May God Bless you Evelyn and all the family. So sad to learn of Ray’s passing. I will cherish our recent conversation and enjoy the memories of his great musical legacy..
Karen and Family, So sorry to hear of Mr. Walsh’s passing. I ran into him a few times over the years as I was one of his former Grade 9 students at St. Joseph’s.He was very cordial and we had a few chats. He was a great teacher especially Math and wanted everyone to do well. My fondest memories are when he and Bill Hefferton took us as students to Memorial Stadium on a weekly basis to play hockey. I was so excited to play on that ice with full hockey gear for the first time and it brings back such happy memories! Thank you Mr. Walsh and God Bless you!! So sorry to hear the sad news of Ray’s passing. May time heal your sorrow, may friends ease your pain and may memories give you comfort at this difficult time. Thinking of you and remembering you all in our Prayers. I was so shocked to hear of Ray’s sudden passing. Without doubt, he is an icon of traditional Newfoundland music. Ray was more than just a great musician who could play any instrument he picked up. He was a fine, honourable, humble, and talented gentleman who worked hard at his craft. The years I spent working with him on Circle were the most memorable of my life. I’m proud to have called him a friend. My sincere condolences to you and the family. Ray will be sorely missed. Sorry to hear of Ray’s passing. Enjoyed working with him on CBC shows in the past. He was a gentleman of the first order and a fine musician. So sorry for your loss Greg and family. To Evelyn, Karen, Greg, Michelle and extended family. There are no words to express how sorry I am to hear of Ray’s passing. My prayers will be with you during this most difficult time. Michelle, sorry to hear of your dads passing.Sincere. Condolences to you and all the Walshfamily.You are in our thoughts and Prayers. Dear Evelyn – My deepest sympathy on the passing of your loved one. I always considered Ray to be a very good friend, and whenever I met him he would be sure to ask how my children were doing. When last I saw him he was playing at a club. He asked – who let YOU in here? Evelyn and family, we were so saddened to hear of Ray’s passing and I am truly at a loss for words. Thinking of you all and we are so very sorry for your tremendous loss. Walsh Family, So sorry for your loss.,May God keep you and help you through your grief. God bless you. .
Michelle and the Walsh family. We were very sad to hear about your father’s passing. He shared his love of music throughout the province and beyond. Such a wonderful gift that will continue to be shared by your family. Sincere sympathy from Newfound Sound Chorus. I am sad to hear of Rays passing.I have fond memories of him when years ago over fifty years .that I had the honor to play with him and John White at the Oh Happy Sight in Bonavista many years ago.I offer my sincere condolences to the Walsh family. Evelyn and the entire Walsh family, So very saddened to hear of Raymond’s passing. Our thoughts and prayers are with you all at this most difficult time. A very fine gentleman indeed. His music,kind nature and legacy will live on in the memories and hearts of everyone, who were fortunate to have known him. Our deepest sympathies are extended to you all..
we only knew ray by reputation and as a musician who brought so much to so many people.a real icon who will be missed. On behalf of the George Street Association, I wish to express our deepest condolences on the passing of Newfoundland Music Icon, Ray Walsh. Known for its support of local, national and international musicians, the George Street Association joins the music community in paying tribute to Ray Walsh. We are grateful for his contributions to Newfoundland music and sharing his talents with us throughout his career. His music has been inspiring, entertaining and educational for young and old. He will be remembered like many other music greats such as Harry Hibbs, Joan Morrissey, John White and Ron Hynes. We offer our condolences to the Walsh family and the entire music community at this time. We are so sorry for your great loss. Our deepest sympathy to all of you. . Hold on to your precious memories and let them guide you during this time of sadness. So shocked to hear of Ray’s passing. I had so many wonderful philosophical conversations witth him over the years. I always enjoyed meeting him on the road as it wouldn’t be long before we were trying to solve all the worlds problems. I marvelled at his ability with the piano- accordion but it was his guitar playing that amazed me most. The family band with his brothers and his children Greg and Michelle, was a treat to listen to. My thoughts today are with his devoted wife, his children and his extended family. I can’t even imagine your sense of loss today. His passing leaves a void for someone as far away as me so I just don’t know how to comfort all of you. Al Stacey. Evelyn, I am so sorry to hear of Ray’s passing.I will keep you and your family in my prayers. So sorry to hear of the sudden passing of Ray. May your happy memories with God’s help get you all through the difficult days ahead. We are deeply sorry for your loss, as is the music community. I remember Ray well when he’d visit Dad in the store and they’d have a little jam session. Gwen and I extend our deepest sympathy to you on Ray’s passing as we join the many Newfoundlanders and Labradors mourning the loss of a good and great man and citizen. I had the great pleasure of working with him when I was Superintendent of the Conception Bay North Roman Catholic School Board. He was a true leader and dedicated administrator and teacher but above all he was a total family man. As a musician he contributed greatly to the cultural heritage of this province.This contribution will continue through his music and the pleasant memories that we have of him. Rest peacefully Ray as you lived that way. Sincere Condolences to you all. I enjoyed his music throughout the years. Deepest sympathy to the Walsh family on the passing of Ray. I had the joy and pleasure of being entertained, one last time, by the Walsh Family Band in late November, at Gower Street Church. What talent this family has. No doubt Ray is now playing a jig or two in heaven where all the saints can stomp their feet, clap their hands and sing along. Ray cannot be replaced, but take comfort in knowing that his memory will go on forever. Ray touched the lives of many and his gentle ways endeared him to them all. Rest with music and love Ray. So sorry to hear about the sudden passing of your loved one. When someone dies, they leave us memories of the many things, they said and did. As long as we have those memories, those we love will live on in our hearts and minds. Ron, Joyce and the entire Walsh family, we are so sorry to hear of Rays passing. Mom always spoke fondly of Ray and his wonderful music. Our thoughts and prayers are with you all at this difficult time. So sorry to hear of the loss of Ray. Ray and his brothers used to come into the long term care facility that I worked at once a month and their performance was always a highlight of the month for the residents. Thank you for sharing your wonderful talents with so many people. May the Lord give you the strength you need at this difficult time, I remember seeing Ray for the first time on TV,we would all gather round and listen to the tunes he would play,our dad would say if Ray Walsh smiles it will be a sunny day tomorrow, then we would all wait patiently and finally a little smirk, God Bless . We are so sad for the sudden passing of your Father. Just know that Our Thoughts & Prayers are with you during these difficult Days ahead! Your Heavenly Father is with you, just continue to lean on Him! God bless You, All Our Love & Support! Sorry to hear of Ray’s passing. May you be comforted by your wonderful memories and love and support of Family and Friends. As a former student of Ray Walsh, I will always remember him and the value and presence he was in the classroom. He was such a remarkable teacher, musician, and truly an icon. He will be missed. To: Evelyn, Karen, Michelle, Greg and family. We are so very saddened and shocked to hear of Ray’s passing. We have many fond memories of Ray over the years both as a friend and a musician. We are keeping you all in our thoughts and prayers during this most difficult time. God Bless. Sincere sympathy from all of us. Kevin and Mary Walsh and family. My thoughts are with you on the passing of Ray, a true musical and cultural icon in the province. “Though the song has ended, the melody remains”. Ron, sorry to hear of the passing of your brother, Ray. Condolences to all your family. Take care, my friend. We were shocked and saddened to hear of Ray’s death. He was a devoted husband and father. Please know that you are in our thoughts and prayers. We are so very sorry for your loss. Uncle Ray’s memory will live on through his musical legacy. He is already missed by so many. Our hearts are with you all. We hope you take comfort in all the wonderful memories made over the years. Sending love from the O’Keefe girls. Walsh Family, deepest sympathy to all the families. My thoughts and prayers are with you all in your time of grief.Soar with the angels, Ray. He was a great musician and will never be forgotten. So very saddened by the news of your Dad’s passing. Thinking of you! So sorry to hear about Ray, we always enjoyed his music. Our deepest sympathy to all the family. Thinking of Michelle and family. Sending strength and love during this difficult time. Sorry to hear of/ Ray’s .passing. Ray was a fine man and even though he gained fame, he didn’t let it go to his head. You are all in our thoughts and prayers. Evelyn and family, deepest of sympathy in the loss of your love one. May your precious memories and family and friends help you during these very difficult days. My Deepest Condolences To Karen And All Of The Walsh Family. Fond Memories Of Mr. Walsh From St Joseph’s School. God Bless. Evelyn…so sorry to hear of your husbands passing. Hold your memories close to your heart and may it bring you some comfort in the days ahead. Hugs. Great teacher and a wonderful musician, an inspiration to the province. You will be missed. To the Walsh family: We were saddened to learn of Ray’s sudden passing. We have admired his music for many years and have attended and thoroughly enjoyed many of his concerts. We are currently in Alberta and cannot attend the funeral service but your family is in our thoughts and prayers. The last time I saw Ray was this past Christmas @ Wesley Church at a concert where he and Greg were performing . He told me that next to his family and music some of his happiest times was playing hockey with the Cee Bee.Oldtimers both in Hr Grace and off the Island . He was a great teammate . He was a remarkable person who made an indelible mark on our Newfoundland society in his day and generation . His untimely passing is sad however you should take comfort in knowing that others share your loss. A new member of God’s band indeed . May his eternal rest be in peace. So Sorry to hear of Rays passing . He was certainly one of the greatest musicians i know. As a young girl growing up in the cove i remember going down to the old school house and hearing him play . certainly enjoyed these wonderful times . Dad and mom spent many times dancing to his music. My deepest condolences to Evelyn and the family . RIP Ray. Karen, Bert, Claire and Jane we are so sorry to hear about the sudden loss of your father, father-in-law and grand father. We would like to send our sincere condolences both from us and Alicia as well as Marie and Ricky Duggan. To all the WALSH extended family at this sad time.I knew Ray as an excellent teacher and ,of course, we all know his enormous musical contribution to our province. Ray was a LEGEND. There is an old Irish language expression, which is apt for Ray. Karen, I am so sorry to hear of the loss of your Dad. He will always be fondly remembered from his teaching career at St. Joseph’s Jr. High as a wonderful teacher and talented musician. He was admired by so many and we were so proud as students as we’d watch him perform on “All Around the Circle”. My condolences to you and your family at this sad time. May your sorrow today be replaced by wonderful memories. Deepest condolences to Karen and the Walsh family. What a great teacher and musician he was. Fond memories from St. Joseph’s Jr. High. May he rest in peace. Sending my sincerest condolences to all the Walsh family. Thinking of you and praying that you feel God’s comfort in knowing that so many more are grieving with you. To the walsh family sorry for your loss. My condolence to the Walsh family, Mr Walsh was my teacher at St. Joseph’s. He was a real nice man. God Bless! So sorry to hear of your father’s passing. Hold your memories close. While it may be difficult in the coming days and weeks to watch and listen to recordings of him, there will come a time when it will be a special comfort. Heartfelt condolences to the Walsh and extended family. Thinking of you Evelyn and all of your family at this very sad and shocking time. Ray is certainly well know for his music throughout the province and he will certainly be missed. Please know that you are in our thoughts and prayers. Our hearts are breaking for you all with the sad news of the loss of your dear loved one, Ray.The loss of such a humble, mild-mannered, kind-hearted, with a great sense of humor and talented man will certainly leave a tremendous void in all your lives, and in all Newfoundlanders who loved his music. I haven’t missed a concert in Carbonear and was looking forward to 2019 concert. Our thoughts and prayers are with you all at this difficult time. Your loving memories will guide you through the loss of such a sweet man. And my favorite song; I will remember you love in my prayers. And we will. Sending our thoughts and prayers to all the families at this sad time. Hold your special memories close to your hearts. To all of Rays immediate and extended family…sincere condolences to each and every one of you. He brought much joy into so many lives. May your fond and loving memories sustain you at this sorrowful time. Our hearts are breaking for you all with the sad news of the loss of your dear loved one. I have many wonderful memories of time spent with your remarkable family during my teaching days in Bay de Verde. Those memories included Ray playing the piano at the Graduation of my Kindergarten Students…all I had to do was ask and he was there…he could perfectly play whatever songs I had picked out! The loss of such a humble, mild-mannered, kind-hearted, wise and talented man will certainly leave a tremendous void in all your lives, as well as in the lives of many. Our thoughts and prayers are with you all at this difficult time. Faith, family and friends will guide you through. Thinking of all of you at this extremely sad time. May you hold him close in your hearts and smile at the joy he gave this world. Evelyn I was so sad to hear of Ray’s passing . My sincere condolences go out to you and your family . I did not meet your husband but I certainly enjoyed his music and the Walsh Family Band . Thinking of you during this difficult time . Words cannot suffice to express the heartfelt sorrow that we feel at Ray’s passing. We hope that our prayers can provide some comfort. I have so many memories since childhood, but my most profound when thinking of Ray is humility. Karen, I hope you can feel the warmest hug ever that we are sending your way. Karen, I was so saddened to hear of you Dad’s passing. I have the fondest memories of your Dad.from when he taught me at St. Joseph’s and I was so fortunate to have had him as a Teacher. My deepest and sincerest condolences to you and your entire. Family at this very difficult time. May you rest in peace Mr. Walsh. Thinking of you all. Ray was an inspiration for so many. Thinking of you all at this difficult time. Our deepest sympathy. My deepest sympathies to all of you! May you hold your memories close and smile often. My sincere condolences to the Walsh Family. I’m so sorry for your loss. I have many fond memories of Mr. Walsh from St, Joseph’s School. Rest In Peace, Mr. Walsh. God bless. My deepest condolences to the Walsh family. What an incredible man…what an incredible talent! I have fond memories of “Mr. Walsh” when he taught me many years ago at St. Joseph’s School. May he rest in peace. My deepest sympathy to you amd your family during this difficult time. Sincerest condolences to Karen and all Mr. Walsh’s family. Will always remember him fondly from St.Joseph’s School. His music made our province a far better place. His kindness , humour and his life passion were each one gifts he shared with others. Grey foggy days and bright sunny days his was a love of life ,family and music. Rest now Ray as you step away from the stage of life. Your accordions and gifted hands are still as so too your proud heart that pumped nfld blood. It’s time gentleman please for Ray has done his final song . To you who knew him, loved him and enjoyed his music we say sorry for the loss of a good man and nflder. Sincerest gondolences to Karen and all Mr. Walsh’s family. Will always remember him fondly from St.Joseph’s School. Sorry to hear the sad news of Rays passing he will be fondly remembered by a lot of people .prayers for his wife and family..
Condolences to family. Ray will be missed by his family, music community and the town of Bay de Verde, which he loved. May he fly with the Angel’s and heaven will now have great kitchen parties now that he is there. God bless. We were so shocked to hear the passing of Ray. Our thoughts, prayers and condolences are with you all. He will be entertaining all the angels in heaven now with his musical talent. God Speed. God bless you all. Stella and Joe Dyke. Condolences to Mrs. Walsh and family. Ray Walsh was one of, if not, the best accordion player in Canada. Rest In Peace Mr. Ray Walsh! Evelyn: Our hearts were broken when heard the that Ray had passed. We injoyed being in Ireland with you this summer and hearing your stories about Ray. Even though I only met him once, I found him to be a very humble gentleman. May God bless you and family on this most difficult time. Sincere sympathy to the Walsh families. Ray made wonderful contribution to the music and song traditions within this Province. Thank you for sharing him with the people. RIP. Michelle and family,So Sorry to hear of the passing of your father.I know he will be greatly missed by his family and all those who loved him.My deepest sympathy to you and your family. Sad to hear that Ray has passed away. He was my teacher in the 70’s at St. Joseph’s, Quidi Vidi Road, St. John’s. My father was from Bay de Verde and Ray knew him. We always chatted everytime we met each other over the years. Nice man, always kind to me. My deepest sympathies to the family of Ray. The residents and staff of the Caribou Memorial Veterans Pavilion will very much miss him and his great talents.